ER/Studio Enterprise Team Edition helps to address all of these situations, with robust logical and physical modelling, business process and conceptual modelling, enterprise data dictionary, business glossaries, and more. With ER/Studio’s extensive data modelling and metadata capabilities, you can document critical data elements, business data objects, and regulatory attributes, and show their sources, interactions, and dependencies, in logical and physical data models. Model data from relational, NoSQL, big data, BI and ETL sources. Define business processes and conceptual models that represent business goals. 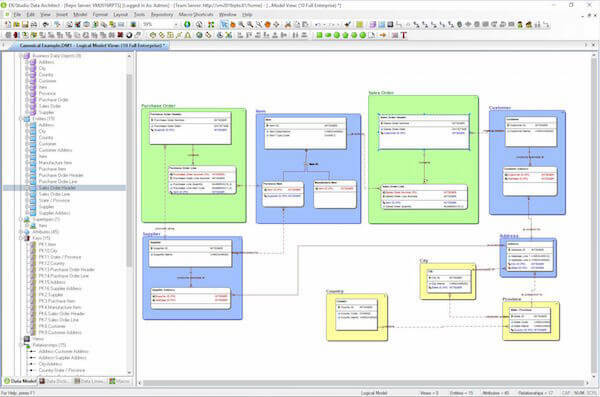 Assign a naming standards template to your model, sub-model, entities, and attributes, and ER/Studio Enterprise Team Edition will automatically apply those naming standards between the logical and physical models, ensuring consistency between models. You can also integrate model elements into reusable constructs via a built-in enterprise data dictionary. 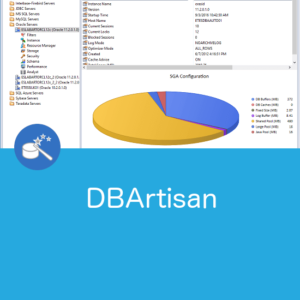 Define business-area specific glossaries with rollups to higher level glossaries to reflect the corporate structure, and bind glossaries to data models. Business and technical team members can view and update the business terms to share corporate knowledge in one centralised location. Establish a data strategy based on a centralised model and metadata hub. Comply with industry regulations and business standards regarding security and privacy by alerting users who view or modify sensitive data. Easily set permissions for access controls. 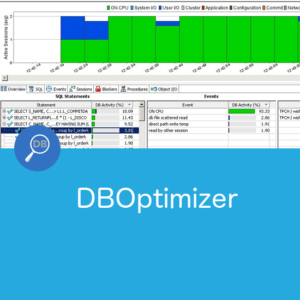 Consolidate information in easy-to-understand reports for business analysts. Download the Datasheet, or find out more by clicking the Contact Us button. 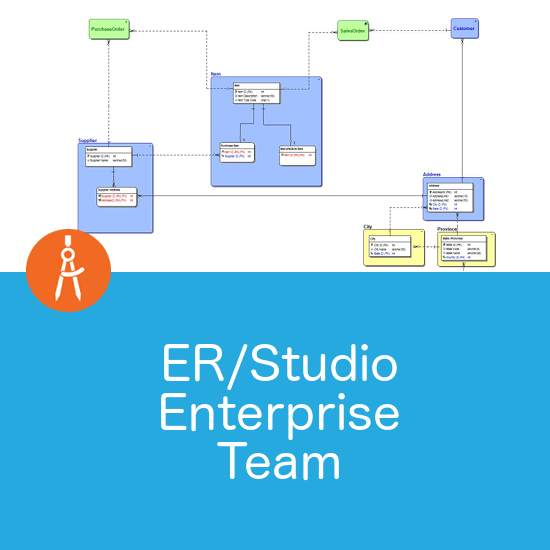 ER/Studio Enterprise Team Edition combines the feature-rich round-trip data modelling capabilities of ER/Studio Data Architect with process and conceptual modelling in ER/Studio Business Architect, a secure model and metadata repository, a collaboration hub for business glossaries, a change management centre, and an extensive selection of import and export bridges to access numerous data sources, to provide a comprehensive enterprise architecture suite. 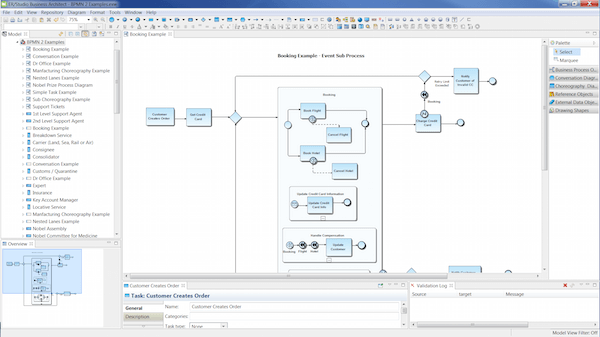 ER/Studio Business Architect enables business architects and analysts to easily model the relationships between people, processes, and data with the BPMN 2.0 standard. Use process models to define business operations, including key activities, tasks, and decision points. Use conceptual models to define key subject areas that need to be documented for implementing the business process. The ER/Studio Repository provides a secure and scalable environment for model and object version management. 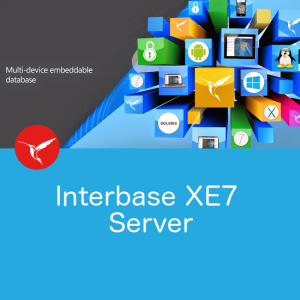 Token-based check-in and check-out ensures that users in virtualised environments have easy access to stored models. 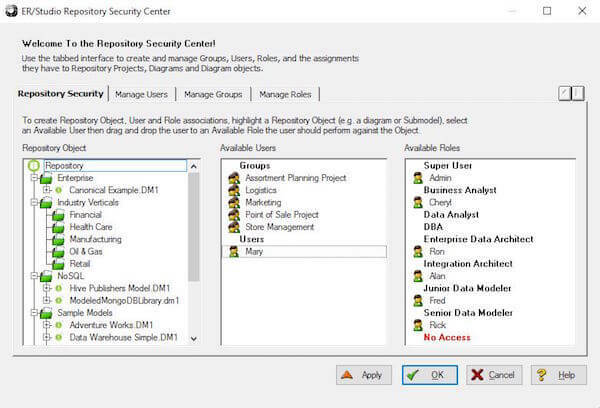 The integrated Security Centre allows you to manage Groups, Users, and Roles, and assign permissions to Repository projects, diagrams, and diagram objects. The ER/Studio Team Server glossaries contain detailed information for business terms and definitions for the entire organisation. Business terms are associated with relevant data objects to give business meaning to the technical information. Audit trails are automatically generated for changes made to the business glossaries or their terms, providing details for compliance and governance reports. Change management projects can be created, viewed, and edited in ER/Studio Team Server and also associated with existing Atlassian JIRA projects for increased visibility. 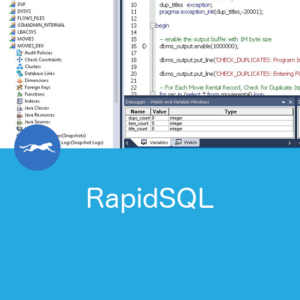 Track the status and progress of tasks and update the details for individual tasks to ensure data models stay aligned with database and application development efforts using a sprint-based workflow. For a more detailed discussion about how ER/Studio Enterprise Team might meet your data modelling requirements, fill out the contact form and we’ll follow up with you.